The Book Cellar, showing its convict built brick arches. 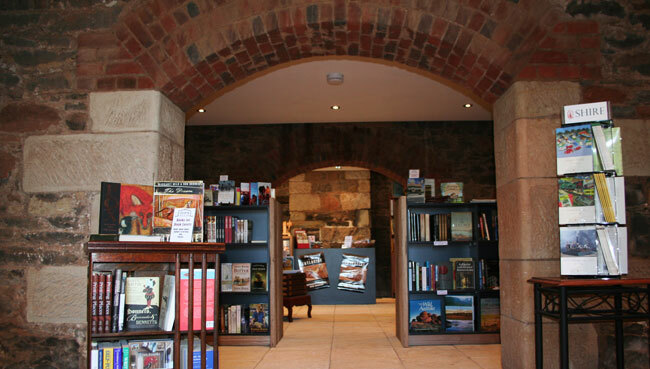 The Book Cellar is a fabulous bookshop located in the convict cellars of one of Tasmania's most interesting heritage properties Foxhunters Return, an 1830's eara coaching inn. Located on the Heritage Highway in Campbell Town, The Book Cellar is a book shop not to be missed. Open daily, it has a fascinating selection of quality old and new books to delight book lovers, book collectors and casual readers alike. The Book Cellar is also home to Just Tassie Books one of the largest collections of Tasmanian books for sale. Campbell Town is also home to our companion shop, The Overflow Bookstore, situated in the old Courthouse building at 103 High Street. The Overflow Bookstore features thousands more mainly used books at reduced prices and is also open daily between 10am and 4pm. The Book Cellar - One of Tasmania's hidden gems. Yes we buy used books! If you are downsizing, clearing your shelves for more great reads, wrapping up an estate or just ridding yourself of those boxes of surplus books tucked away in the attic, give us a call and we'll discuss how we can help.